If you’re into the super sweet store-bought creamers that taste like candy bars, you are in for a treat! 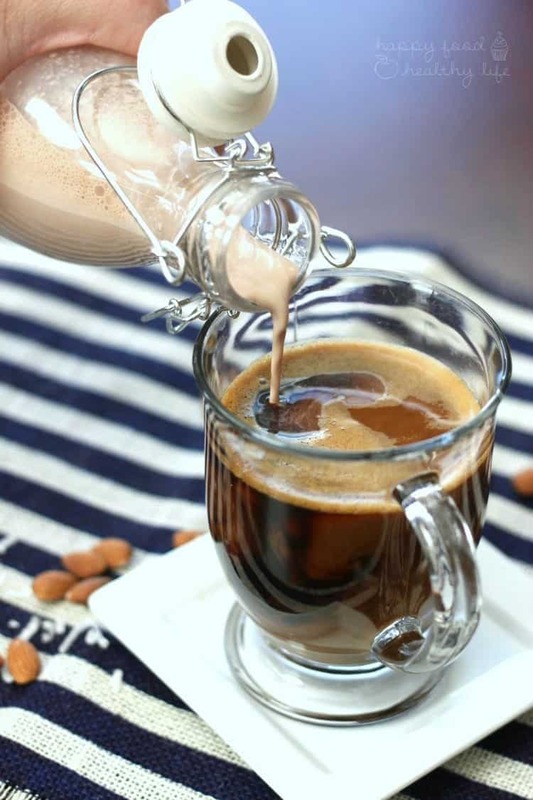 I have created a DAIRY-FREE ALMOND JOY CREAMER that is sure to knock your coffee-lovin’ socks off! Okay, you guys, I’m seriously on a roll. 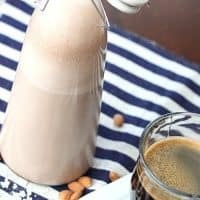 After last week’s Vanilla Coffee Creamer recipe I shared with you, I feel like the only thing I ever want to share is all the flavors in the history of ever! But of course I had to start with my favorite flavor combination – chocolate, almonds, and heavenly coconut. 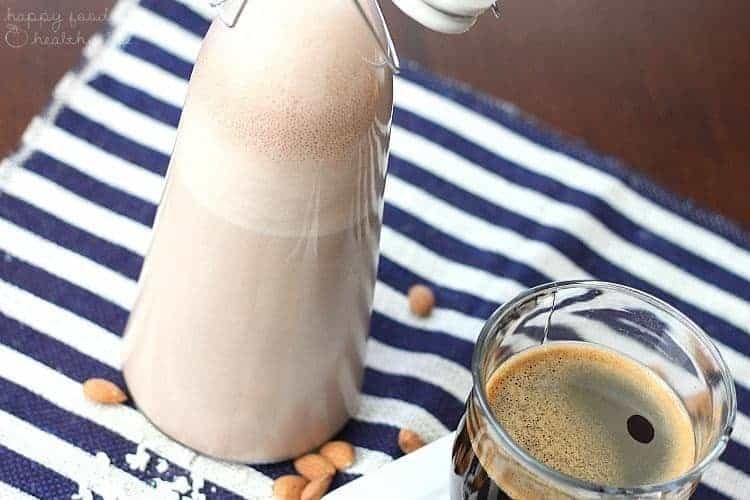 Of course, this creates the yummiest Almond Joy flavor right in your coffee each and every morning – with a whole bunch of natural sweeteners. Definitely not anything like that you’re normally buying in the grocery store. Last week I talked about how I’ve gotta make my coffee taste like anything but coffee. And this creamer is sure to fit the bill of masking whatever coffee flavor you once started with. But while we’re talking coffee, I want to know. How many cups do you drink a day? 1? 5? Do you drink it all day long or just in the mornings? Or maybe just at night (that would be weird, not gonna lie). Or maybe you’re just a weekend warrior when it comes to your cups o’ joe. Inquiring minds like myself have got to know. As for me, I’m a two cuppa day kind of girl. The thing about my cups though – they’re more like 2 cups in 1. Like 20 ounces each. So, yeah, I drink my fair share of coffee. Mornings don’t truly start until I’ve taken that first sip. And my morning always seems to start out grumpy if I haven’t made the coffee the night before and programmed it to start before I’ve gotten out of bed. If I have to wake up at 4am and actually MAKE the coffee at that hour, I have a perma-scowl on my face for at least the first 2 hours of the day. So programming at night is a necessity. Oh, but I’ve got to tell you about my fails in night-before coffee-prepping. 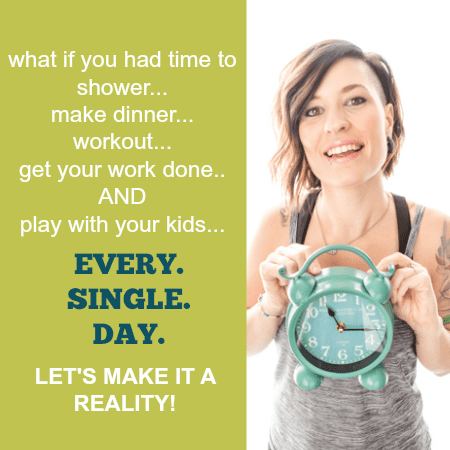 Do you know how many mornings I’ve woken up to perfectly steeped hot water? Yup, totally forgot the coffee. Or how about the smell of coffee and nothing in my carafe. Yup, forgot the water that time. These fails produce the same perma-scowl as if I didn’t prep it at all! I’m sure you’re laughing at all this, but I assure you, it is anything but funny. What about you? Do you prepare the coffee the night before like I do? Whenever you prepare it and however much you drink, you have got to give this dairy-free candy bar option a chance. You will not be sorry! 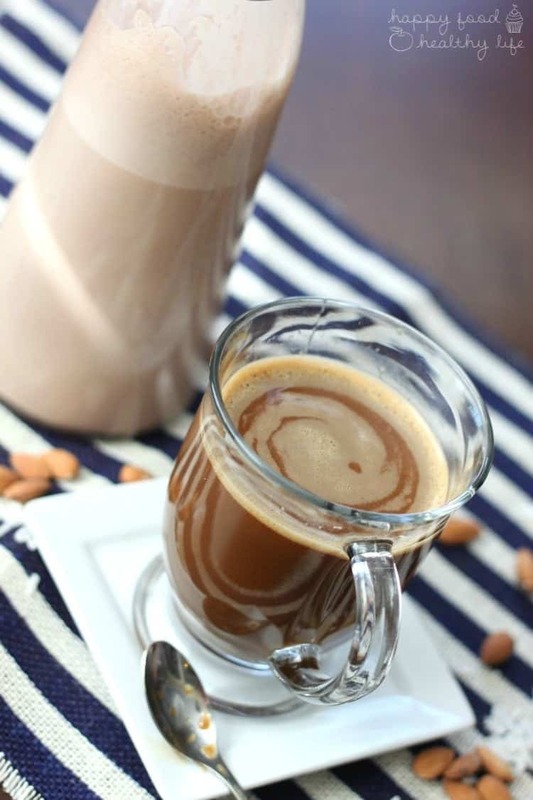 Want an Almond Joy in every sip of your morning coffee? Check out this homemade creamer! 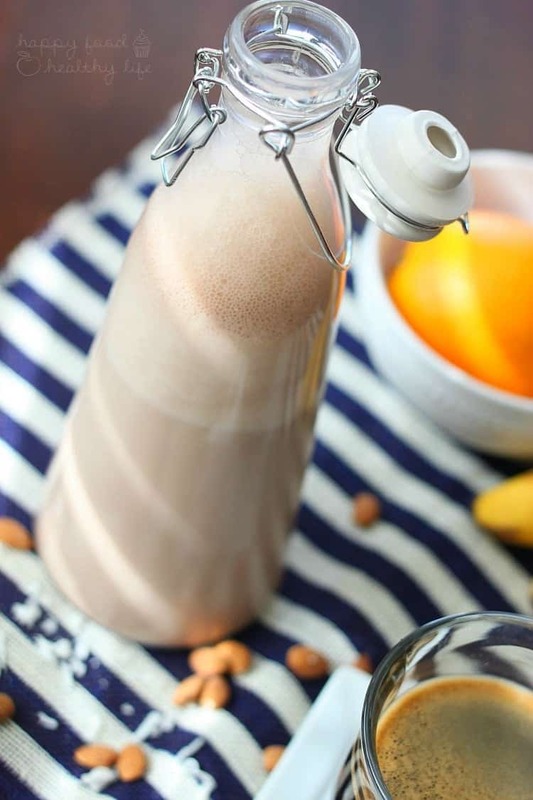 In a small bowl, soak almonds, cashews, and dates in water. Be sure that the water is covering all the nuts and dates. Let sit for 8-12 hours. Once they're done soaking, drain the nuts and the dates and rinse with clean water. Place in a high-speed blender with 2 1/2 cups of water and blend for about a minute or two until everything is as smooth as possible. Pour mixture into a nut bag that's placed over a bowl or pitcher. Squeeze out all the liquid, reserving the remaining nut meal to use in recipes such as muffins, cookies, and quick-breads. Pour the drained liquid back into the blender, add extract, agave, cocoa powder, and salt, and blend on medium speed until completely combined. Refrigerate in a pitcher or glass jar. Will keep for about 5-7 days stored in the refrigerator. 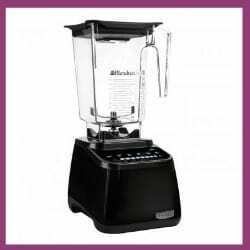 Blendtec Blender: My Blendtec blender is my most used, most cherished item in my kitchen. Heck, I even took it on vacation with me! That’s how much I can’t live without it! They retail for $500-700, but buying a refurbished Blendtec will only cost you $279! That’s seriously a steal for the value. I have a refurbished Blendtec and it’s never caused me any problems, and I’ve heard the same from everyone else who owns one. Looking for more dairy-free options?